Serving Contractors, Farmers, Government, Industry, Cities & Towns. SRS Crisafulli. SRS Crisafulli manufacturers SRS Crisafulli's Integrated Product Solutions - To remove water, soft and abrasive material, sludges, and slurries from Industrial, Municipal, Agricultural, and Government Lagoons, Ponds, Lakes, Canals, and flooded and flood threatened areas. And to irrigate farms and ranches, and for many other applications. 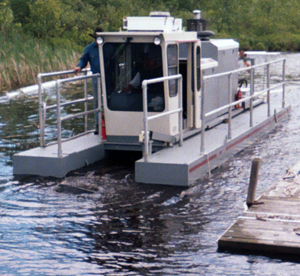 Product solutions include self-propelled and remote controlled and automated dredges, centrifugal trailer, submersible, and vertical pumps, and portable power equipment, Crisafulli products are used by approximately 5,000 contractors, agricultural customers (farmers and ranchers), industrial and municipal customers, state and federal government departments, and regional authorities across America and around the World. Agricultural customers - farmers and ranchers - and applications.